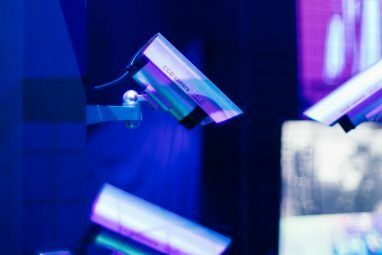 Rather than plug your Raspberry Pi into a TV, or connect via SSH (or remote desktop connections via VNC or RDP) 5 Ways to Display Your Raspberry Pi On a Monitor Or TV 5 Ways to Display Your Raspberry Pi On a Monitor Or TV Back in the 1980s and 1990s, home computers didn’t rely on dedicated monitors to display operating systems, applications and games. In those days, things were far simpler. Instead of paying extra for a monitor, the... Read More , you might have opted to purchase a Raspberry Pi touchscreen display. 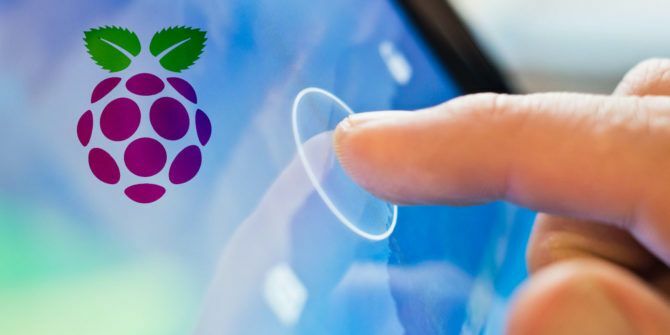 Straightforward to set up How to Setup Your Raspberry Pi Touchscreen How to Setup Your Raspberry Pi Touchscreen The Raspberry Pi comes with a variety of useful add-ons, but one piece of kit that has proved particularly popular is the Raspberry Pi 7-inch Touchscreen Display. Here's how to set one up. Read More , the touchscreen display has so many possibilities. But if you’ve left yours gathering dust in a drawer, there’s no way you’re going to experience the full benefits of such a useful piece of kit. The alternative is to get it out of the drawer, hook your touchscreen display to your Raspberry Pi, and reformat the microSD card. It’s time to work on a new project — one of these ideas should pique your interest. Let’s start with perhaps the most obvious option. The official Raspberry Pi touchscreen display is seven inches diagonal, making it an ideal size for a photo frame. For the best results, you’ll need a wireless connection (Ethernet cables look unsightly on a mantelpiece) as well as a Raspberry Pi-compatible battery pack 3 Raspberry Pi Battery Packs for Portable Projects 3 Raspberry Pi Battery Packs for Portable Projects A Raspberry Pi battery can make a regular Pi into a portable computer. You'll need one of these battery solutions to get started. Read More . Several options are available to create a Raspberry Pi photo frame, mostly using Python code. You might opt to script your own, pulling images from a pre-populated directory. Alternatively, take a look at our guide to making your own photo frame with beautiful images and inspiring quotes ShowerThoughts and EarthPorn: Make an Inspiring Raspberry Pi Photo Frame ShowerThoughts and EarthPorn: Make an Inspiring Raspberry Pi Photo Frame Read More . It pulls content from two Reddit channels — images from /r/EarthPorn and quotes from /r/ShowerThoughts — and mixes them together. The results are always impressive! Rather than wait for the 24th century, why not bring the slick user interface found in Star Trek: The Next Generation to your Raspberry Pi today? While you won’t be able to drive a dilithium crystal powered warp drive with it, you can certainly control your smart home. 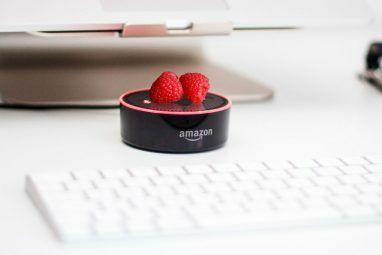 In the example above, Belkin WeMo switches and a Nest thermostat are manipulated via the Raspberry Pi, touchscreen display, and the InControlHA system with Wemo and Nest plugins. ST:TNG magic comes from an implementation of the Library Computer Access and Retrieval System (LCARS) seen in 1980s/1990s Star Trek. Coder Toby Kurien has developed an LCARS user interface for the Pi that has uses beyond home automation. Building a carputer has long been the holy grail of technology DIYers, and the Raspberry Pi makes it far more achievable than ever before. But for the carputer to really take shape, it needs a display — and what better than a touchscreen interface? Ideal for entertainment, as a satnav, monitoring your car’s performance via the OBD-II interface What Is the OBD-II Port and What Is It Used For? What Is the OBD-II Port and What Is It Used For? If you purchased a car after 1996, it probably has an OBD-II port. But what is it for, and how do you diagnose errors with it? Read More , and even for reverse parking, a carputer can considerably improve your driving experience. Often, though, the focus is on entertainment. Now here is a unique use for the Pi and its touchscreen display. A compact, bench-based tool for controlling hardware on your bench (or kitchen or desk), this is a build with several purposes. It’s designed to help you get your home automation projects off the ground, but also includes support for a webcam to help you record your progress. The idea here is simple. With just a Raspberry Pi, a webcam, and a touchscreen display — plus a thermal printer — you can build a versatile photo booth! Various projects of this kind have sprung up. While the versions displayed above uses a thermal printer outputting a low-res image, you might prefer to employ a standard color photo printer. The wait will be longer, but the results better! Projects along these lines can also benefit from better use of the touchscreen. Perhaps you could improve on this, and introduce some interesting photo effects that can be tweaked via the touchscreen prior to printing? How about a smart mirror for your Raspberry Pi touchscreen display project? This is basically a mirror that not only shows your reflection, but also useful information. For instance, latest news and weather updates. Naturally, a larger display would deliver the best results, but if you’re looking to get started with a smart mirror project, or develop your own from scratch, a Raspberry Pi combined with a touchscreen display is an excellent place to start. Many existing projects are underway, and we took the time to compile six of them into a single list for your perusal The 6 Best Raspberry Pi Smart Mirror Projects You Can Make The 6 Best Raspberry Pi Smart Mirror Projects You Can Make These Raspberry Pi smart mirrors can tell you the time, date, weather, remind you of upcoming appointments, and more. Read More . Use this as inspiration, a starting point, or just use someone else’s code to build your own information-serving smart mirror. After all, what could be better — and more time efficient — than checking the news while you style your hair? Want to pump some banging “toons” out of your Raspberry Pi? We’ve looked at some internet radio projects in the past, but adding in a touchscreen display changes things considerably. For a start, it’s a lot easier to find the station you want to listen to! This example uses a much smaller Adafruit touchscreen display for the Raspberry Pi. You can get suitable results from any compatible touchscreen, however. Alternatively, you might prefer the option to integrate your Raspberry Pi with your home audio setup. The build outlined below uses RuneAudio, a Bluetooth speaker, and your preferred audio HAT or shield. Plenty of ways to enjoy quality audio with your Raspberry Pi right there! 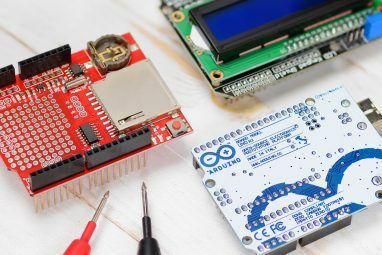 Requiring the ProtoCentral HealthyPi HAT (a HAT is an expansion board for the Raspberry Pi) and the Windows-only Atmel software, this project results in a portable device to measure yours (or a patient’s) health. With probes and electrodes attached, you’ll be able to observe and record thanks to visualization software on the Pi. Whether this is a system that can be adopted by the medical profession remains to be seen. We suspect it could turn out to be very useful in developing nations, or in the heart of infectious outbreaks. We were impressed by this project over at Hackster.io, but note that there are many alternatives. Often these rely on compact LCD displays rather than the touchscreen solution. Many home automation systems have been developed for, or ported to, the Raspberry Pi — enough for their own list. Not all of these feature a touchscreen display, however. One that does is the Makezine project below, that hooks up a Raspberry Pi running OpenHAB, an open source home automation system that can interface with hundreds of smart home products. Our own guide shows how you can use it to control some smart lighting Getting Started with OpenHAB Home Automation on Raspberry Pi Getting Started with OpenHAB Home Automation on Raspberry Pi OpenHAB is a mature, open source home automation platform that runs on a variety of hardware and is protocol agnostic, meaning it can connect to nearly any home automation hardware on the market today. Read More . OpenHAB comes with several user interfaces. However, if they’re not your cup of tea, an LCARS UI theme is available. The outcome here is obvious: a unified, touchscreen smart home solution, powered by your Raspberry Pi! Another great build, and the one we’re finishing on, is a Raspberry Pi-powered tablet computer. The idea is simple: place the Pi, the touchscreen display, and a rechargeable battery pack into a suitable case (more than likely 3D printed). You might opt to change the operating system; Raspbian Jessie with PIXEL Upgrade Raspberry Pi's Raspbian OS With the PIXEL Desktop Environment Upgrade Raspberry Pi's Raspbian OS With the PIXEL Desktop Environment Since its release in 2012, the Raspberry Pi's Raspbian operating system has had a few revisions, but the desktop environment had remained largely the same. Pixel changes that. Read More (nor the previous desktop) isn’t really suitable as a touch-friendly interface. Happily, there are versions of Android available for the Raspberry Pi. This is one of those projects where the electronics and the UI are straightforward. It’s really the case that can pose problems, if you don’t own a 3D printer. Which one will you start first? Or do you know of a better Raspberry Pi touchscreen display project? Tell us in the comments! Explore more about: Raspberry Pi, Touchscreen.